The Rafah crossing on the Egypt-Gaza border has been opened for three days under the control of Palestinian Authority (PA) border guards on the Gaza side for the first time in a decade, Palestine’s envoy to Egypt Diab Al-Loh said in press statements on Saturday. The switching of control of border security on the Palestinian side from Hamas to the Palestinian Authority is part of a reconciliation agreement reached in Cairo in October between Palestinian factions. Al-Loh said that Egypt has decided to open the crossing for three days starting Saturday for students, Palestinians who hold residency in Egypt, and humanitarian cases. According to Al-Loh, this is a preliminary step to opening the crossing permanently. Al-Loh told Al-Ahram Arabic news website that the process of changing border security has moved smoothly in accordance with the Cairo-brokered agreement. In October, the Fatah-backed Palestinian government and rival Hamas reached a political reconciliation agreement after two days of Egyptian-sponsored talks in Cairo. The agreement came nearly a month after Hamas handed administrative powers in Gaza to Fatah and agreed to hold general elections in order to end the decade-long rift between the two groups. Cairo has offered to host a meeting on 21 November between the Palestinian factions to discuss other major aspects of reconciliation. The Rafah border crossing between Gaza and Sinai is the only exit point for the 1.8 million Palestinians living in the strip, which has been under Israeli siege since 2006. 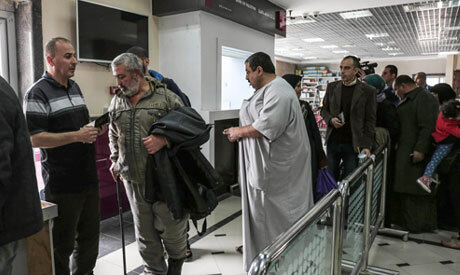 The border crossing, which has been closed most of the time since 2013 on security grounds, is periodically opened by Egypt to allow the passage of civilians with foreign passports, Palestinian students and humanitarian aid.